Yossi Milo Gallery is pleased to announce an exhibition of photographs by Pieter Hugo, entitled Nollywood . The exhibition will open on Thursday, February 25, and close on Saturday, April 10, with a closing reception for the artist from 6:00 to 8:00 pm on Thursday, April 8. This is the artist’s second solo exhibition at the gallery. 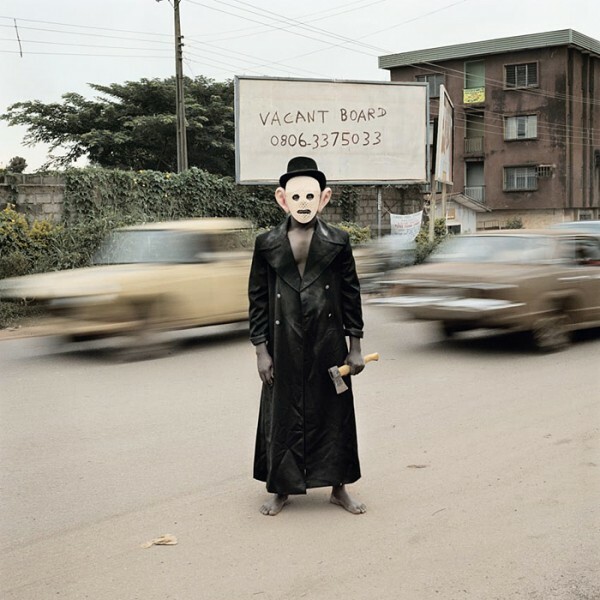 The photographs in the series were taken with a medium-format camera in the film production centers of Enugu and Asaba in southern Nigeria, using local actors to recreate scenes and characters inspired by typical Nollywood films. The staged images, which recall film production stills, are the artist’s interpretations of the iconic myths and symbols that characterize Nollywood movies. Like the artist’s series The Hyena and Other Men , which was shown at the gallery in 2007, Nollywood focuses on a unique cultural community in Africa. The resulting images are portraits on the border between documentary and fiction. Pieter Hugo received the 2008 Discovery Award at the Rencontres d’Arles Festival and the 2008 KLM Paul Huf Award. His work has been featured in a solo exhibition at the Foam Fotografiemuseum in Amsterdam, and his work is included in the collections of the Metropolitan Museum of Art in New York, the San Francisco Museum of Modern Art, and the GEM/Fotomuseum den Haag, among others. A book of work from the Nollywood series was published by Prestel in 2009, and The Hyena and Other Men was published by Prestel in 2007. Hugo was born in South Africa in 1976 and currently lives near Cape Town.